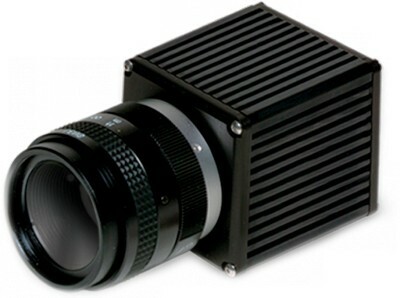 The compact 320KTSX-1.7RT is an InGaAs video camera featuring high-sensitivity and wide dynamic range. It provides real-time night-glow to daylight imaging in the Short Wave Infrared (SWIR) wavelength spectrum for passive surveillance and use with lasers. The 320KTSX-1.7RT camera delivers clear video at every lighting level from partial starlight to direct sunlight due to on-board Automatic Gain Control (AGC), image enhancement and built-in non-uniformity corrections (NUCs). Simultaneous Camera Link® digital output provides high quality 12-bit images for image processing or transmission. Low-power and light-weight with compact size enables easy integration into surveillance systems, whether hand-held, mobile or aerial. * λ = 1.55 µm, exposure time = 16.57 ms, in Highest Gain OPR setting, (no lens) with gain and offset corrections off..